Arts & Culture Editor Eve Kucharski talks with Mario Lopez and Craig Mitchell Smith about their artistic contributions to the new, Herbert-Herman Cancer Center at Sparrow Hospital. 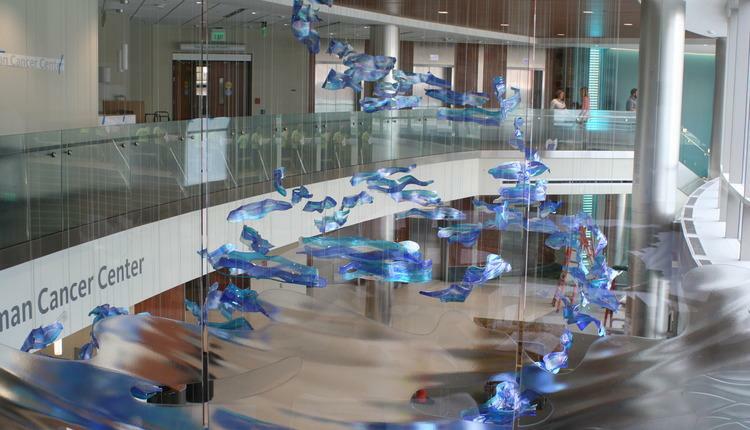 Craig Mitchell Smith’s contribution to the Herbert-Herman Cancer Center: “Lifted.” Photo by Lawrence Cosentino. Then, we dive into the archives and hear former Arts & Culture Editor Ty Forquer’s interview with Barb Whitney and Katrina Daniels about her then new position at the Lansing Art Gallery & Education Center.